Yesterday, I ran the Roding Valley Half Marathon, my 13th half marathon since I started running. 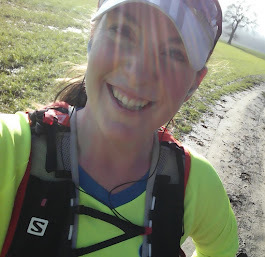 Unlucky for some, but it was a gorgeous sunny day and I managed to get a PB so I shouldn't think of it as unlucky for me, but it was a bit of a weird one and I've come away not as happy as I should be. I really wasn't feeling all that great about the race. I knew it was going to be very hilly, and my 6 miles on Saturday had been a bit too much like hard work, so I wasn't very confident that I was in the best shape to have a good race. However, getting up on Sunday was easy, I was in a great mood, and feeling very keen so headed off full of the joys of spring ;) I arrived, parked up, picked up my number and timing chip without any problem (although I really don't like having to pick up my number...much prefer having it sent out to me) and got myself sorted out before having a bit of a warm up and lining up. It's a track start (and finish) which was great but from early on it was apparent just how congested the course was going to be - I don't know if in recent years they have allowed more people to run but I don't think the route is suitable for the numbers of us that there were, as pavements were generally very narrow along some pretty busy roads, with lots of parked cars along them and without any road closures - it just wasn't that fun. A couple of times I got beeped at by cars as they passed, and I saw other vehicles come very close to runners...and many of the motorists seemed to get really annoyed at having to wait for us to cross the road. The route was also very suburban - I don't think I'd plan a training run around such uninspiring roads, never mind have a race route around them! But any way - the route isn't what was significant for me about the race. On Saturday, I'd been thinking about what I was going to aim for, and decided that on a regular day on a flat course, I should be able to run 8.30 min/mile which would get me a 2 minute PB. However, as I said, I really wasn't feeling it, and this course was hilly, and so I started the race with 8.30 very much in the back of my mind, but with a sub-2hr race my real target which would leave me running at marathon pace of 9 min/miles. When we started, I went off at a comfortable pace (although as always at the beginning of a race at bit slower than ideal because of the crowds) and although my first three miles were pretty much warm ups, by the time I got to mile 4 I ran it in 8:09. Mile 5 was 8.25 and then I managed to get really consistent and ran 6,7,8 all at 8.23! I was amazed at the pace showing on my watch, especially with the hills, and then put in 8.16 for mile 9! Mile 10 was harder for me, with 8.37 showing on the watch, but someone running close by to me was pacing their friend, and she kept shouting all of these motivational phrases: "you've put all the hard work in, you can't let this go", "come on, this is where you've got to dig deep" "keep going" "just run a few seconds faster" and so on.... It really helped motivate me as my legs were starting to feel heavy & I waited for my surrogate coach at the finish line to thank her for her help! Anyway, by this time I realised that my average time was still looking much faster than I'd expected - I was under 8.30 average pace and I realised that I was definitely on for a PB and so started to try and dig even deeper. It's a shame I hadn't done it earlier, but got mile 12 done in 8.28, and mile 13 was my fastest mile of the race as it dawned on me that I might just get a sub 1:50...I ran it in 7.56! I managed a sprint finish for the line (my Garmin recorded that .1 of a mile at 6.44) and I was checking my watch to see how I was doing, knowing I was so close to a PB time that I NEVER thought it would be possible for me to achieve. I was really excited that I might just do it, as well as being aware that it was great that I was still feeling strong enough to run well. I crossed the finish as fast as I could, stopping my watch as soon as I got under the gantry. I glanced down at it, and it read 1:50 and my stomach just dropped away, I was really disappointed. My official chip time was 1:50:02...just a few seconds over a sub 1:50 time, but still a PB of 3 mins 20 seconds on a hilly course, having run 6 miles the day before. I should have been absolutely over the moon at running 1:50 and I think every other race I've ever run, I would have been. But this time was different...I couldn't believe I had let a sub 1:50 time slip through my fingers. When I got home, I wandered out into the back garden to find Francis. He couldn't believe though that I was disappointed by running a few seconds short of a sub 1:50. It is still a great time, and now a bit of time has past, I am very pleased...incredulous even that I ran 1:50. I came 35th out of 178 in my age group, and 55th out of 276 ladies...but my overwhelming memory from this race will be the disappointment I felt as I crossed the line which is a real shame.